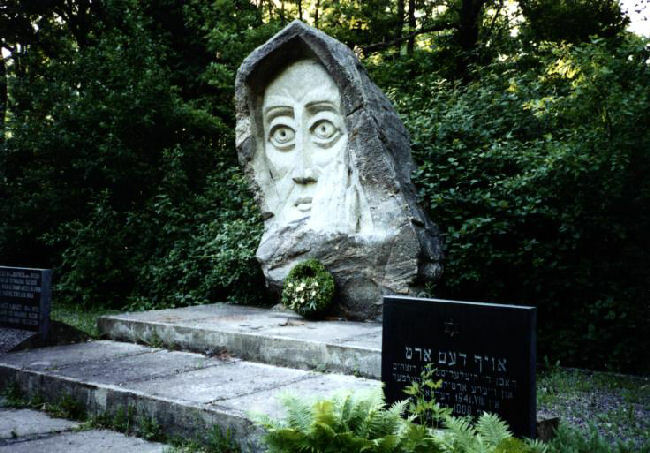 Broken Mogen David is the central monument at the memorial in the forest outside Olita (Alytus). 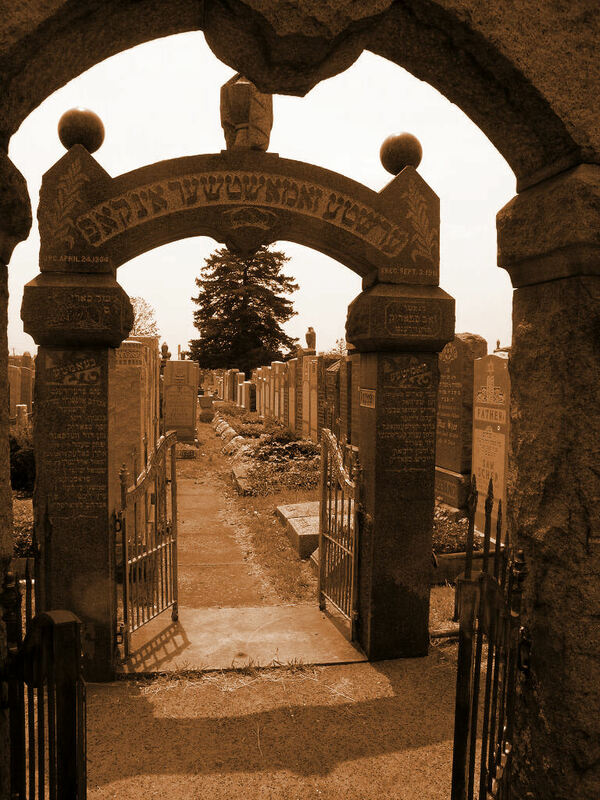 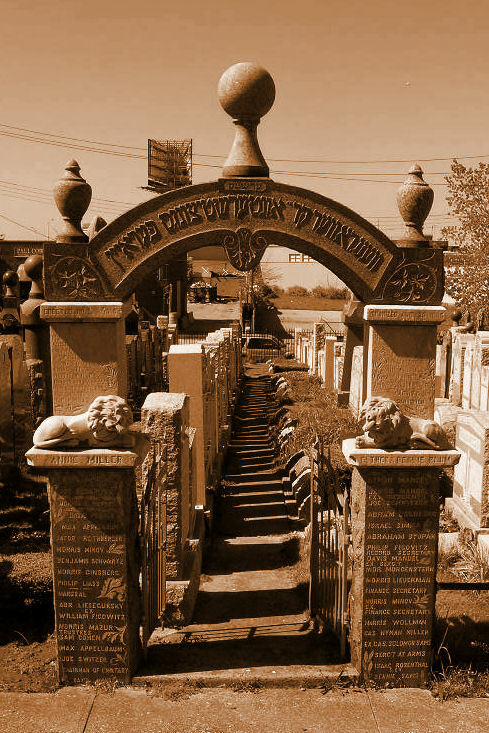 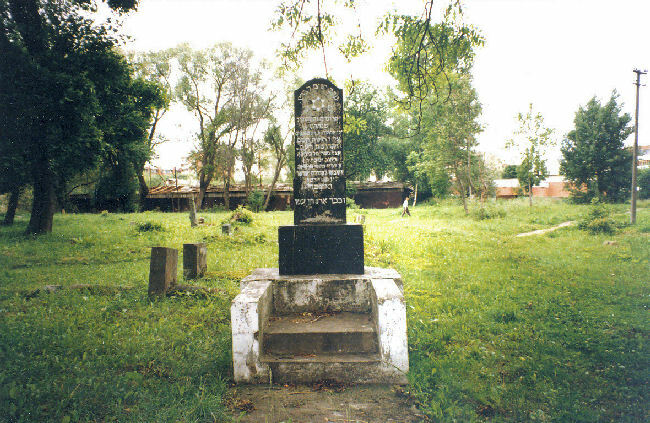 Hundreds of Jews of the shtetl were murdered on the first Sunday of September 1941. 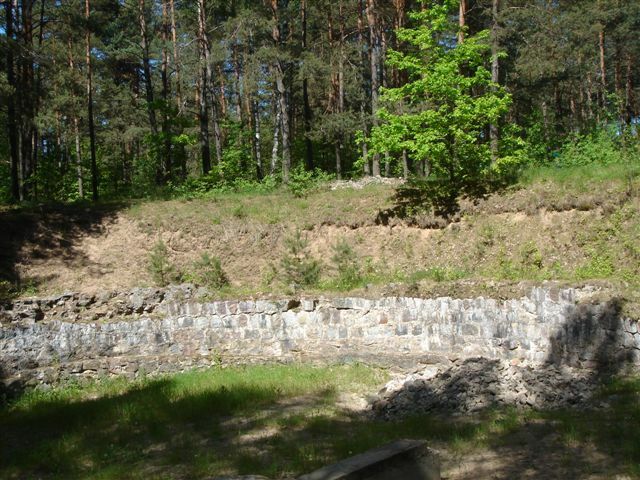 The Jews of Olite (Alytus) were all marched into the forest outside the shtetl. 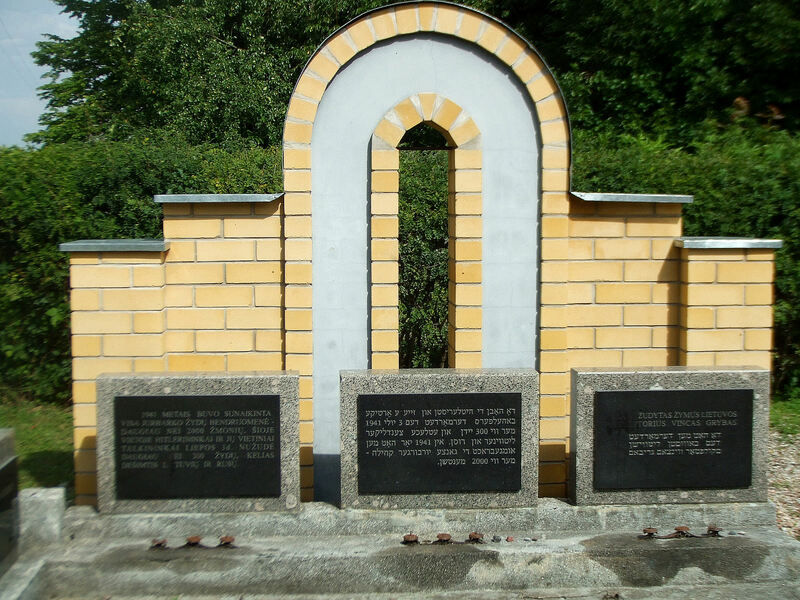 And on the first Sunday of September 1941 they were all murdered. 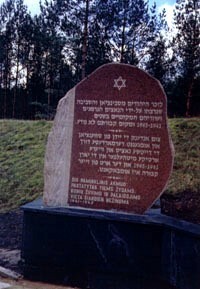 About one hundred and twenty Jews were killed on that day. 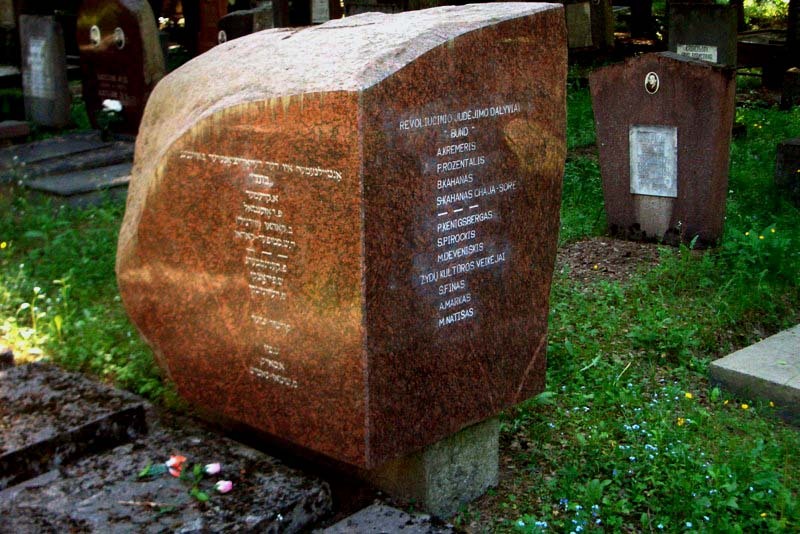 Their bodies were left for years where they died. 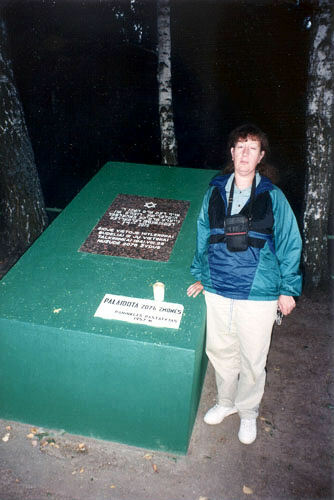 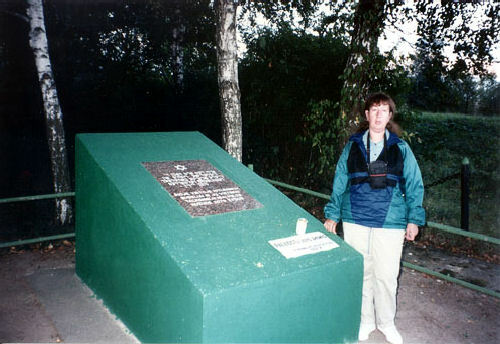 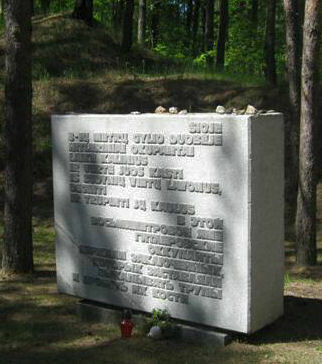 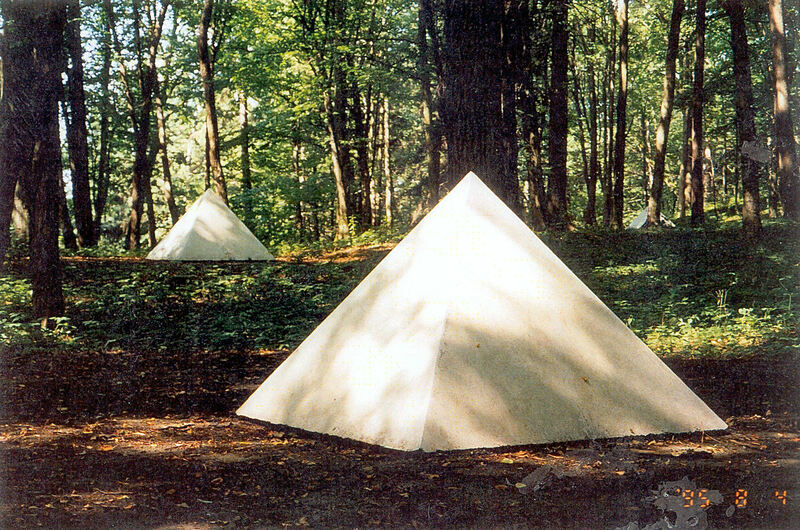 Finally when the Baltic States declared their independence when the Russians left, honor was given to their remains by being placed in a memorial among the trees of the forest--all that remained of the bodies were placed in nine mass graves under silver pyramids. 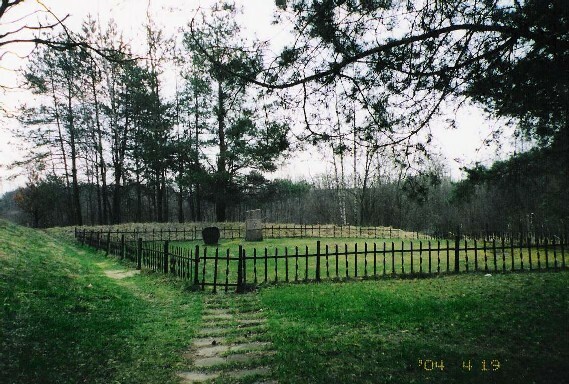 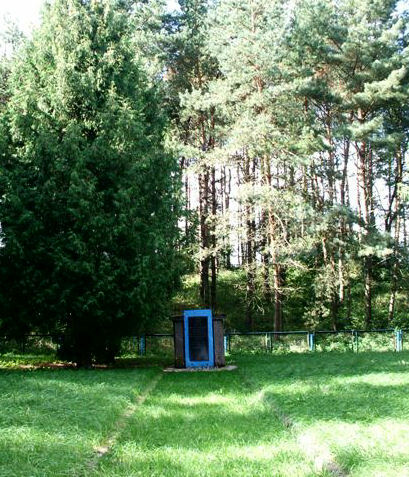 Mass grave site located in the woods of Babtai (Bobt), approximately two kilometres from the town, on the right side of the road in the direction of Memel (Klaipeda) on the bank of the river Nevi-aza. 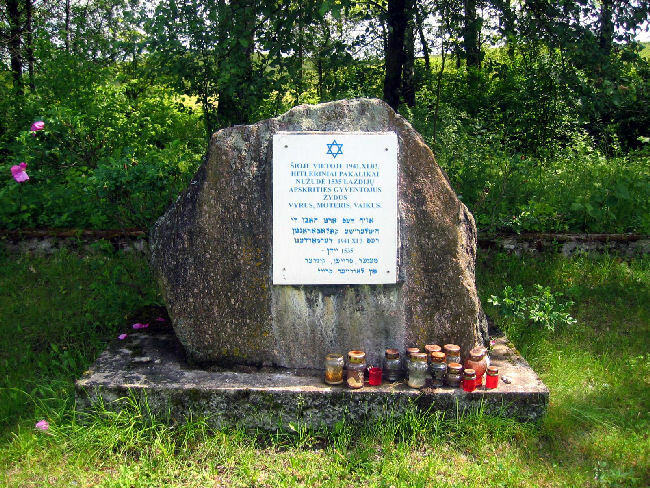 ninety-one Jewish men, women and children from Babtai and Vandziogala were killed here. 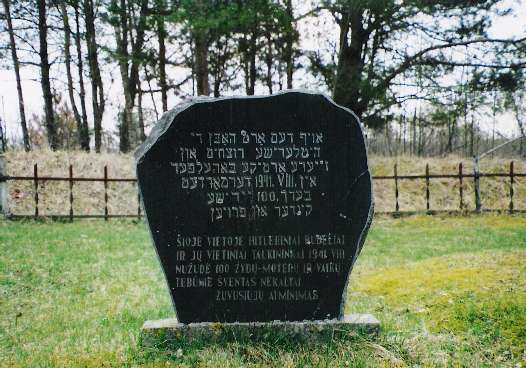 This stone was put up by the (few surviving) Jews of Birzai when they returned to Birzai after the war. 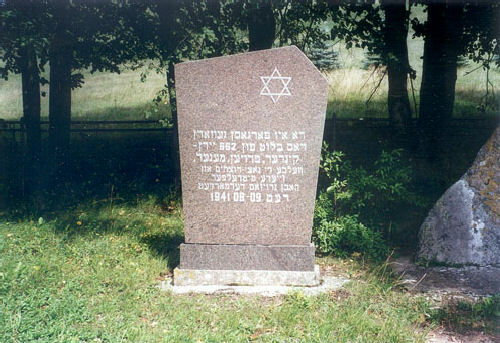 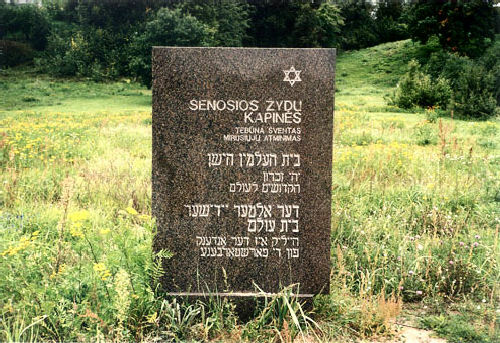 Monument in the old Jewish cemetery to the victims of the first mass killing of the Jews of Kaunas on 26 June 1941.
at the still-active, new Jewish cemetery in Kaunas. 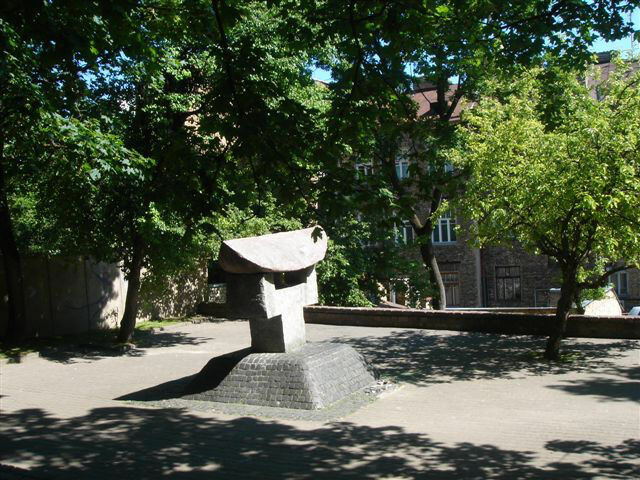 Children's memorial outside of synagogue in Kaunas. 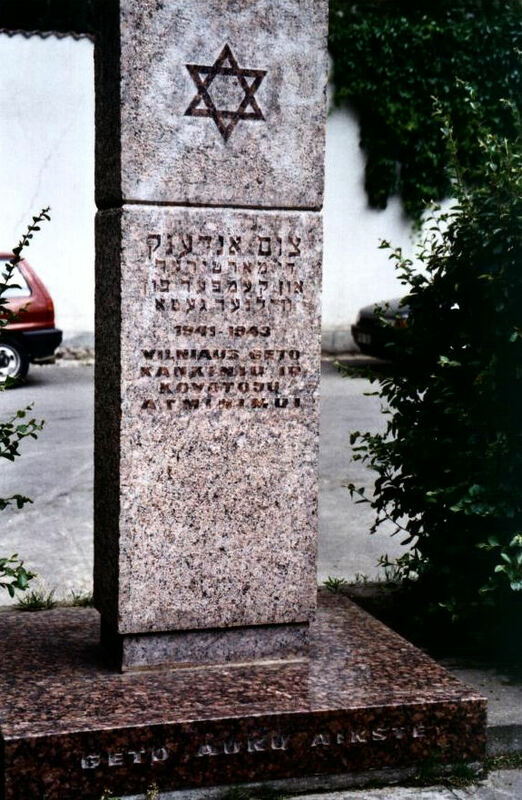 Monument to the Kaunas Jewish ghetto cemetery. 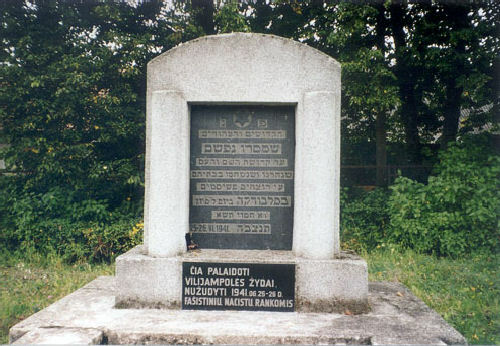 Monument at the entrance to the Jewish ghetto. 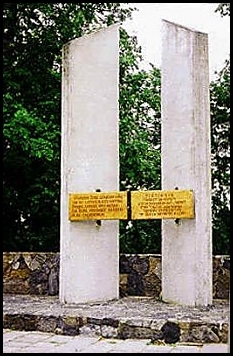 "Eternal remembrance of the victims of Fascism." 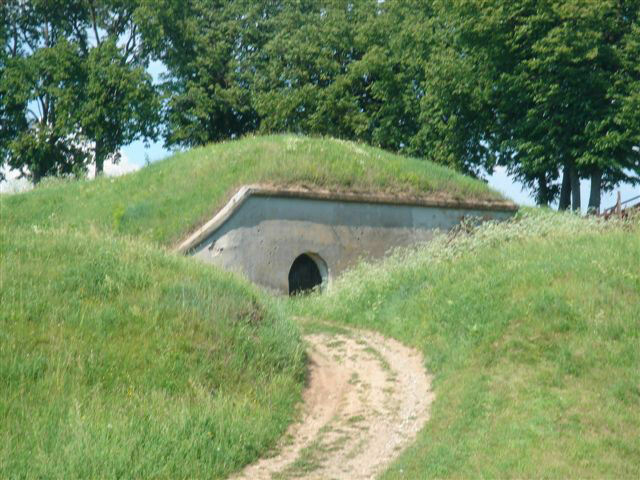 the 9th Fort. 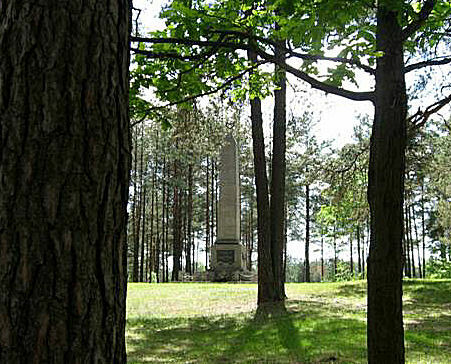 Erected in 1984, 105 feet high. 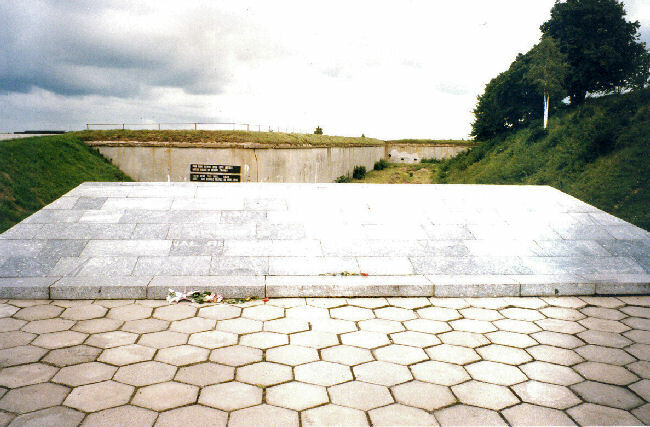 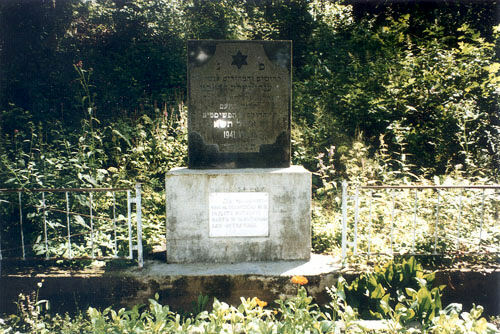 Memorial at the 9th Fort, in remembrance of the 30,000 Jews (prob. 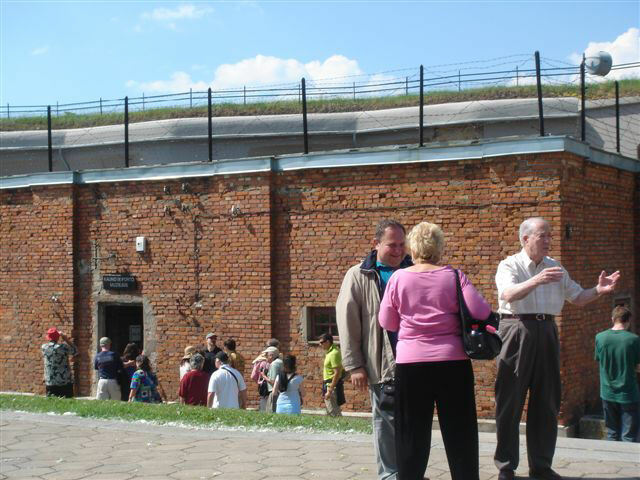 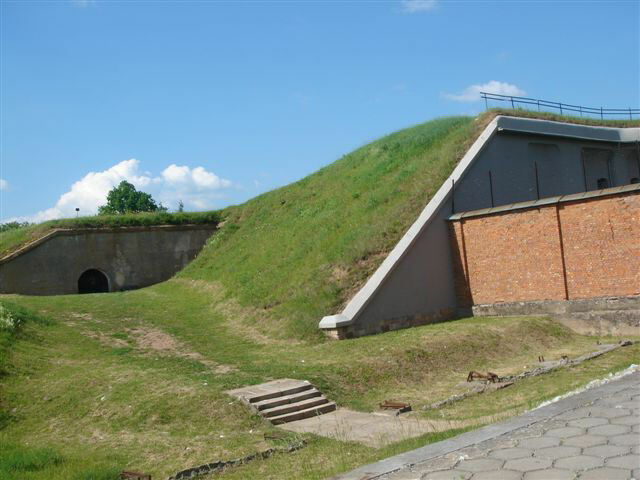 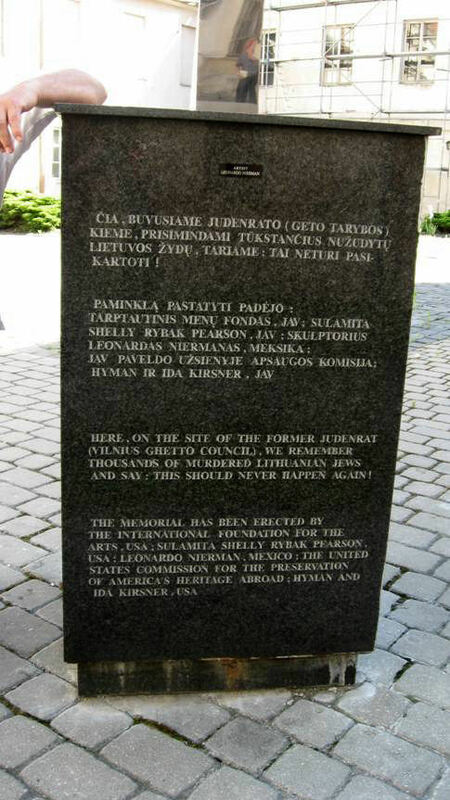 50,000-80,000) from Lithuania and other European countries who were massacred there. 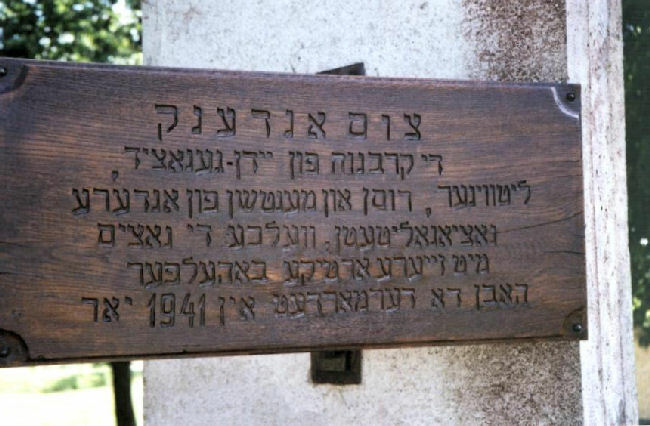 on 5 Elul 5701 (28 August 1941). 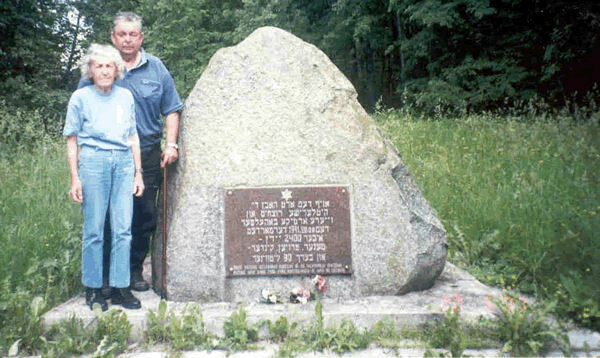 3,200 Jews died in this location. 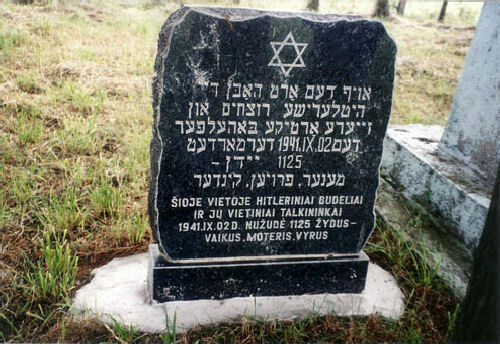 According to the United States Holocaust Institute, 2000 Jews of Kelme were murdered in July 1941. 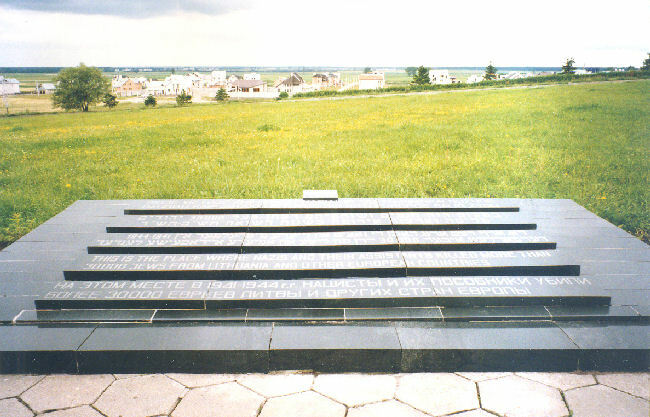 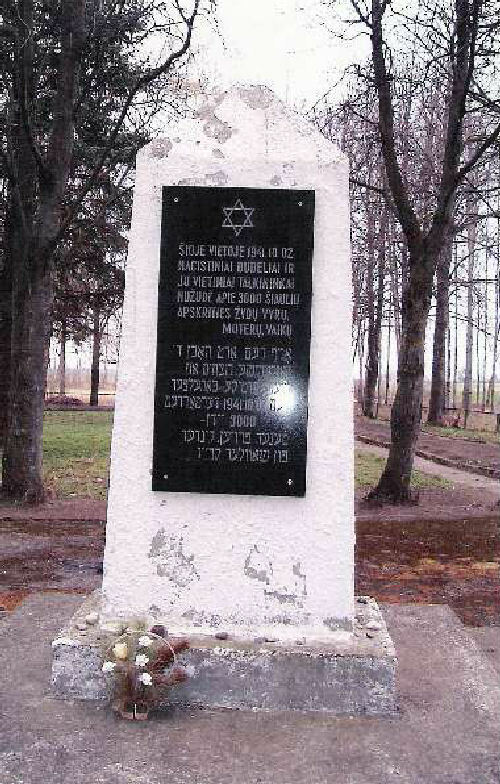 The memorial indicates "On July 26,1941, 485 Jews from Kelme and surroundings have been murdered." 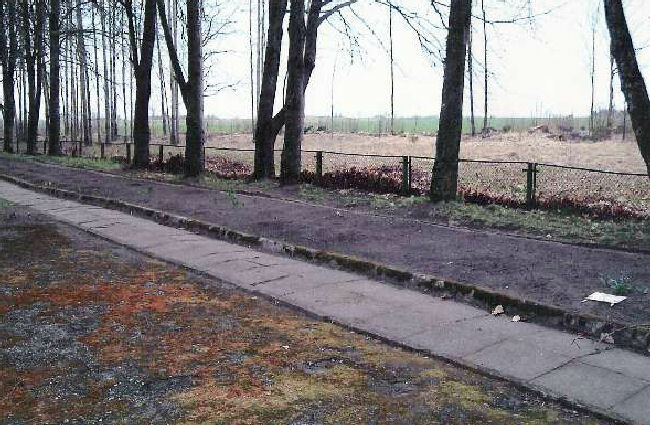 500 meters to the left of the road to Rasein. 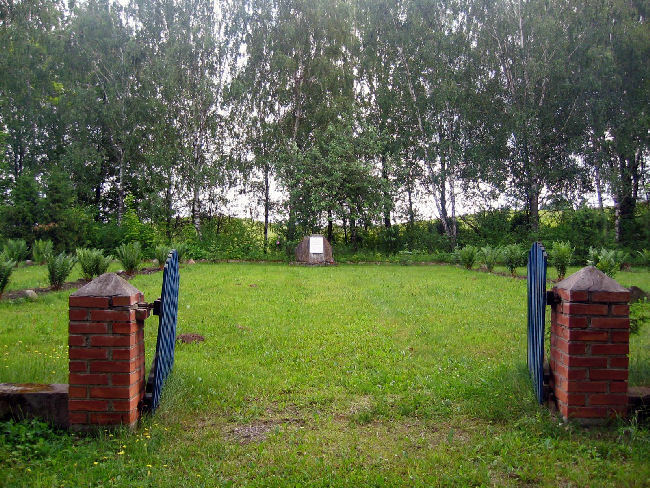 On 10 Elul 1941 (Sept. 2, 1941), the Jews of Krakes were murdered here, along with Jews from Kedainiai, Ariogala, Baisogala, Gudziunai, Grinkiskis, Patsiunel, Dotnuva, and other places. 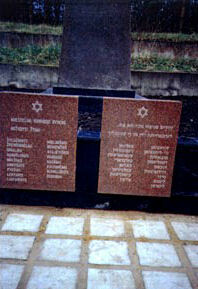 Number of victims 1125 Jewish men, women and children. 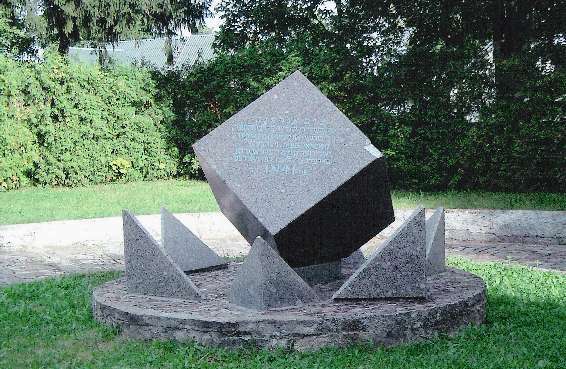 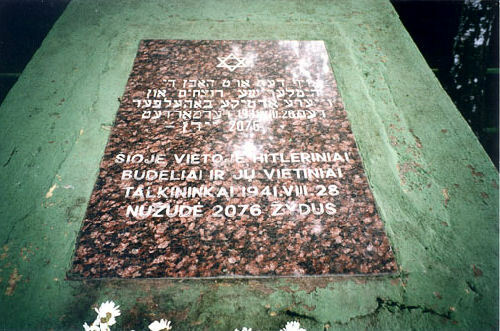 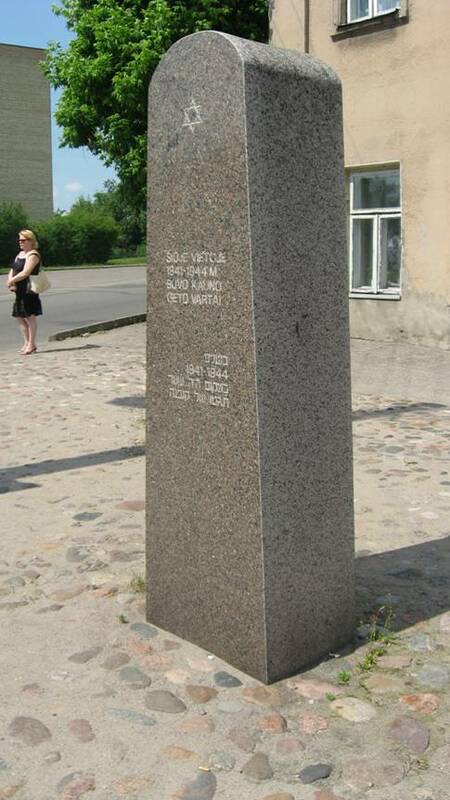 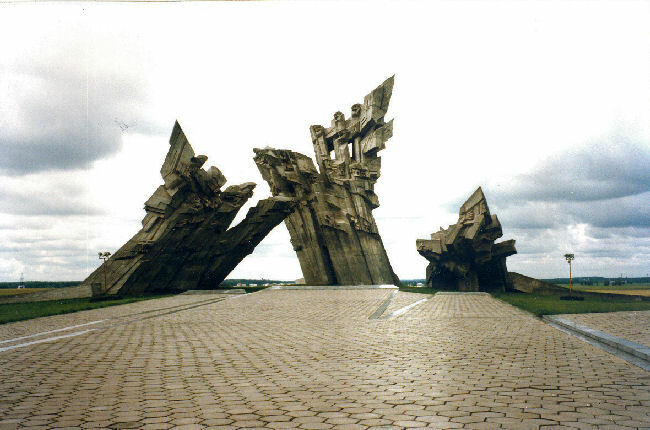 The date of Sept. 5, 1941 on the Lithuanian monument is incorrect. 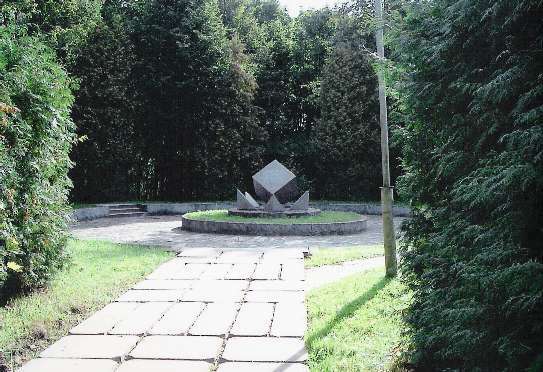 which is now the town library. 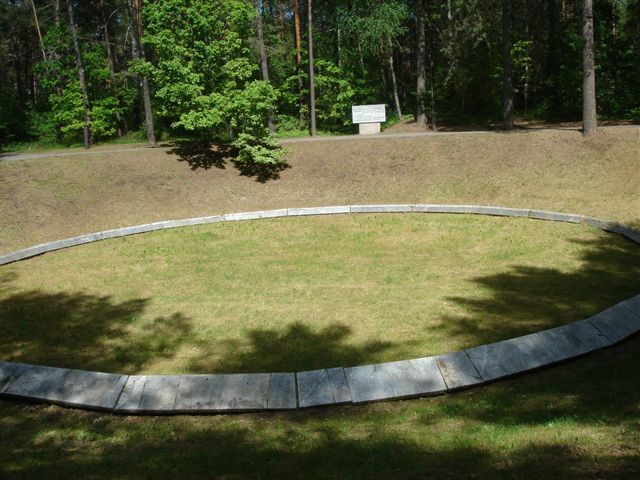 "On this spot, the Hitler collaborators on 3 Nov 1941murdered 1,535 Jews--men, women, children of Lazdijai..."
in Paneriai, by Nazi executioners and their accomplices." 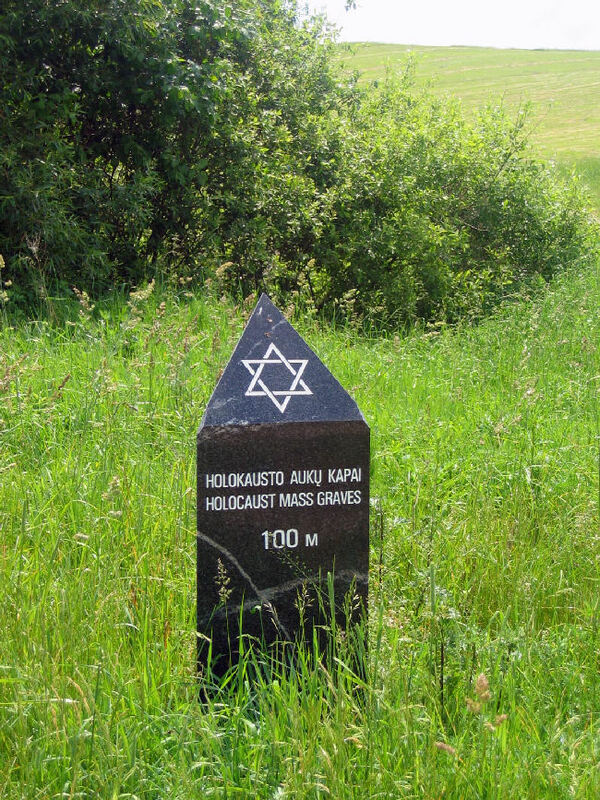 "From July 1941 until July 1944 the Hitlerist occupiers and their local assistants annihilated 100,000 people, of them 70,000 Jews--men, women and children." 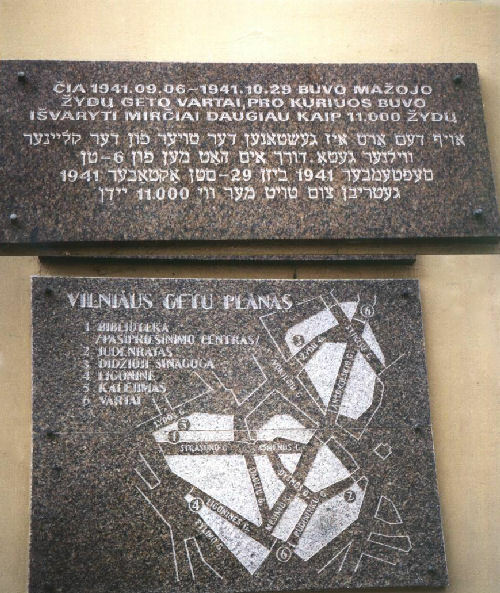 Ponar was the killing field of Vilnius. 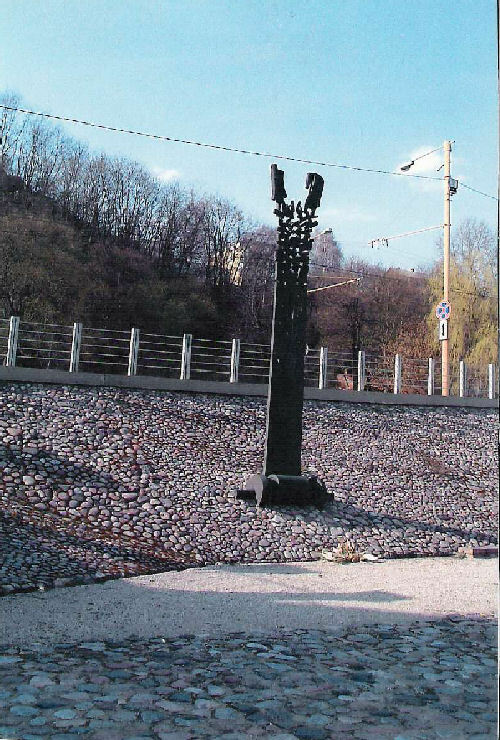 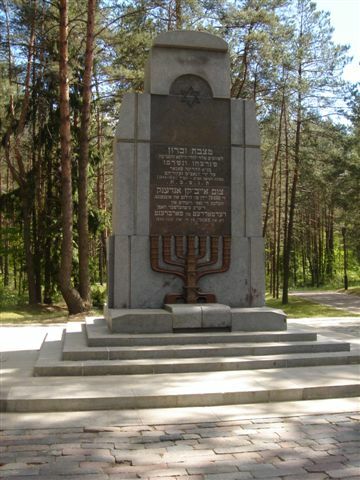 Memorial to 70,000 Jews of Vilna and the vicinity who were murdered and burned in the killing fields of Ponar by the Nazis and their assistants in the years of the Holocaust- 5702-5704 (1941-1944). 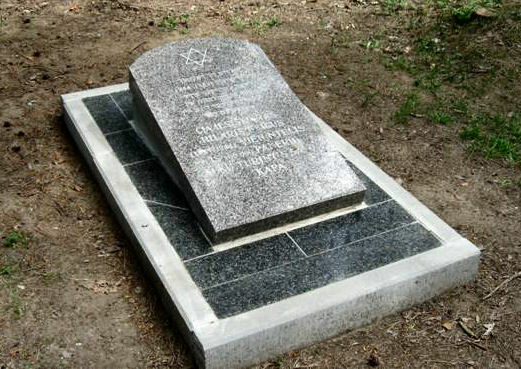 May their souls be bound in the knot of life. 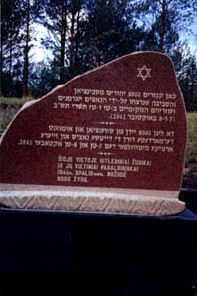 This memorial mentions the last thousand Vilner victims. 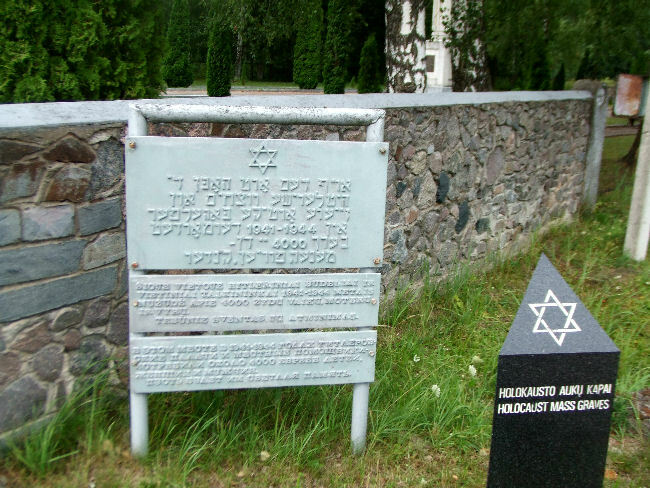 It gives the date of July 5, 1944.
there was a Jewish Ghetto." 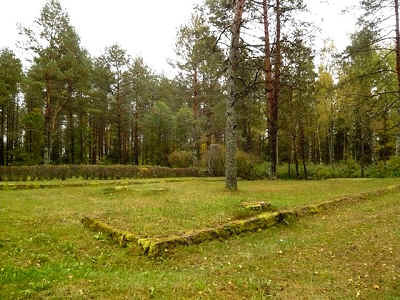 but was in a forest, at a killing site. 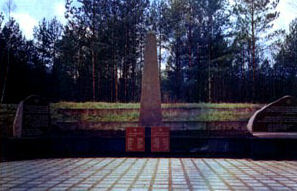 Memorial in the killing field. 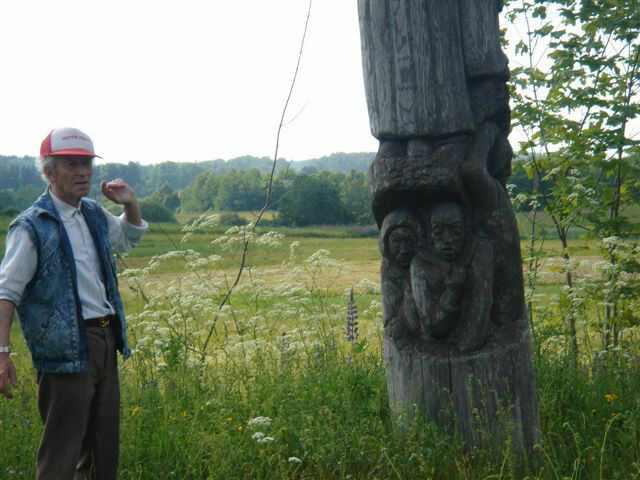 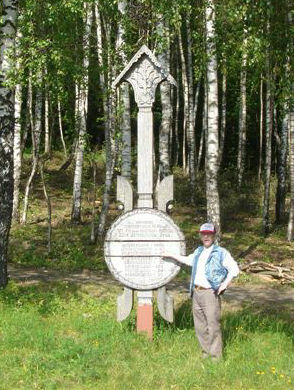 Yakov Bunka, pictured here, is the creator of these many wooden memorials in Plunge. 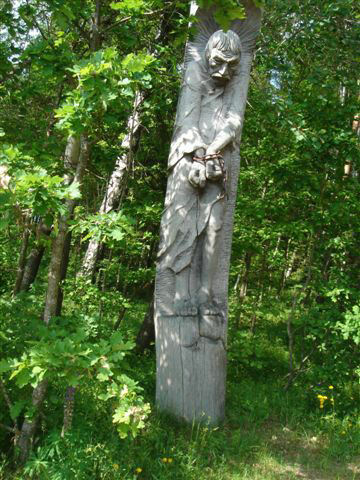 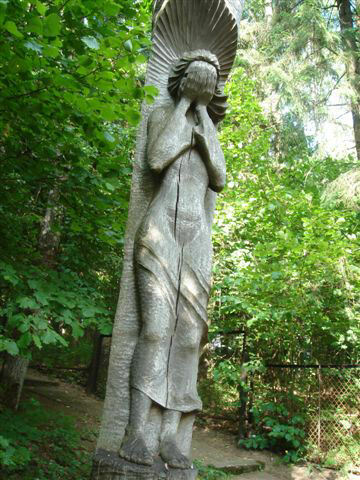 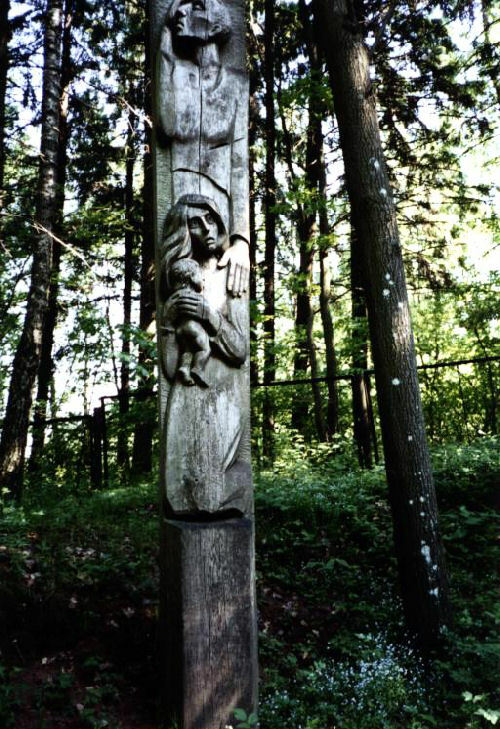 These memorials were carved from trees in the woods. 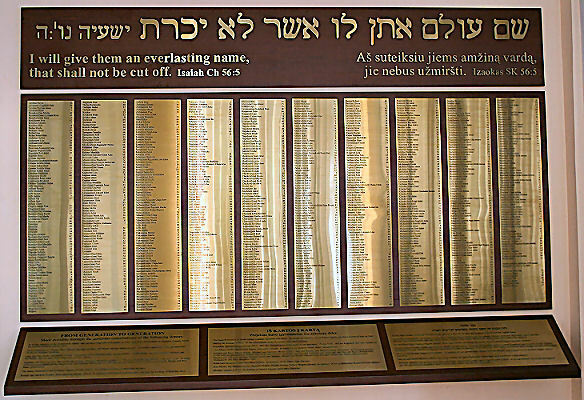 This plaque was put up in July 2005 at the site of the old shul, now used as a flour mill. 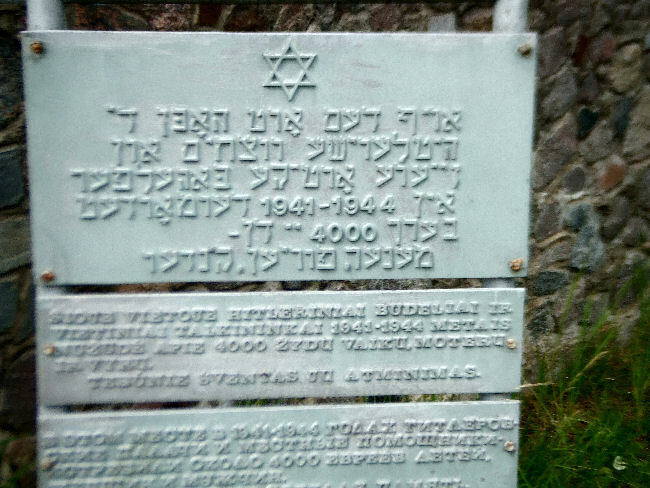 3207 Jews - children,women,men. 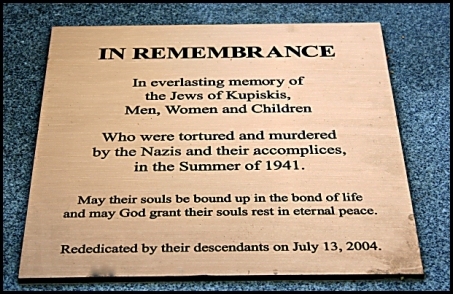 Let the memory of them be blessed." 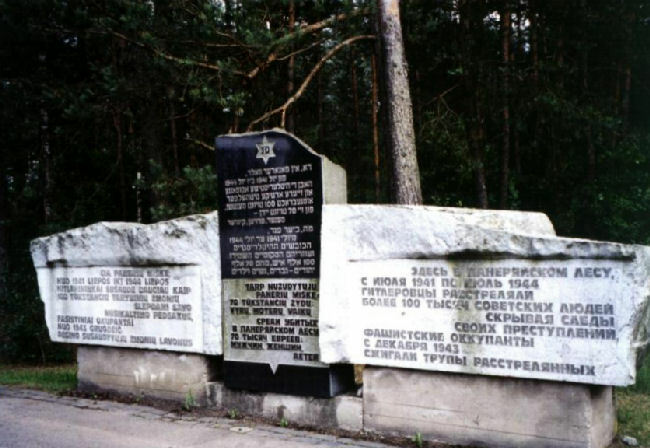 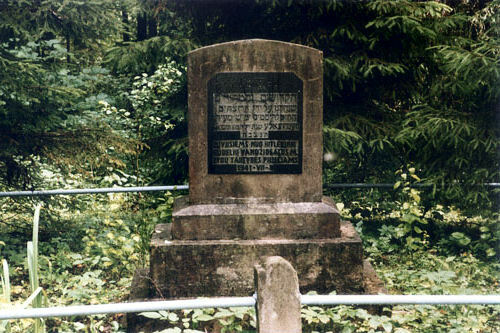 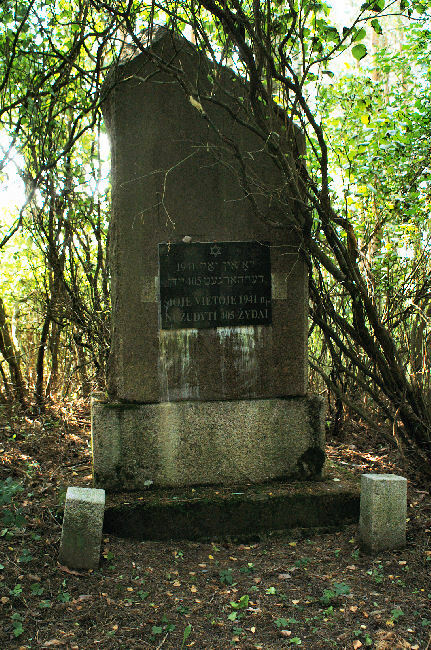 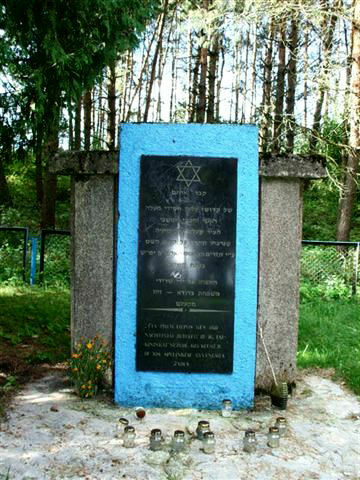 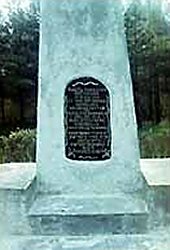 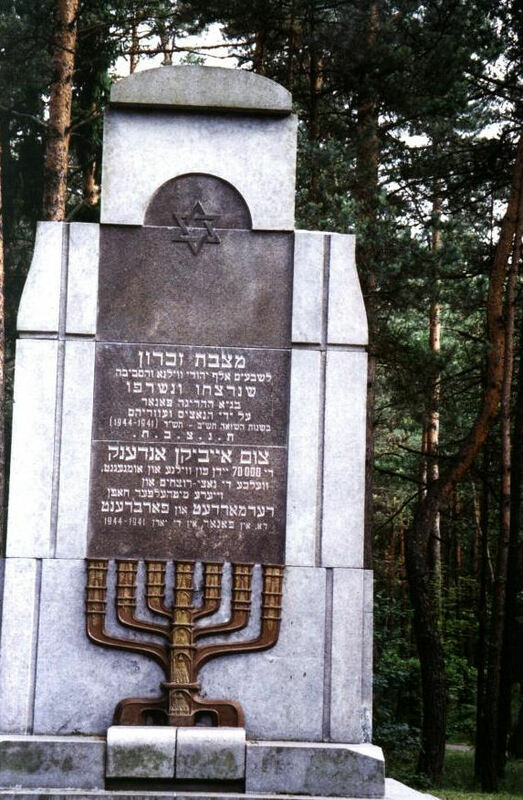 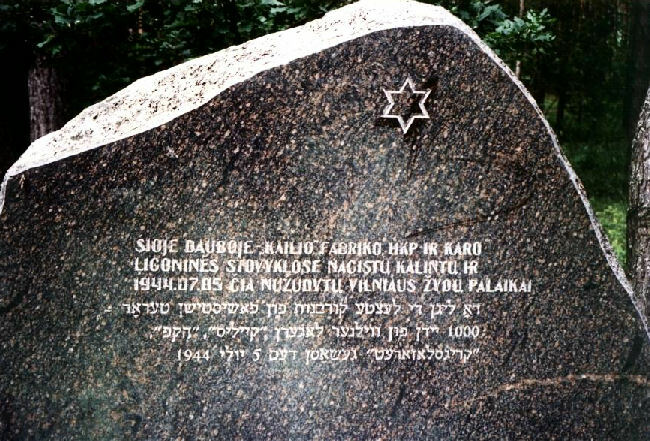 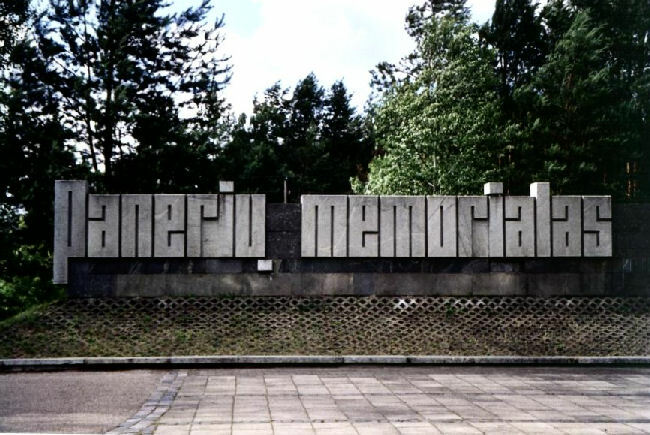 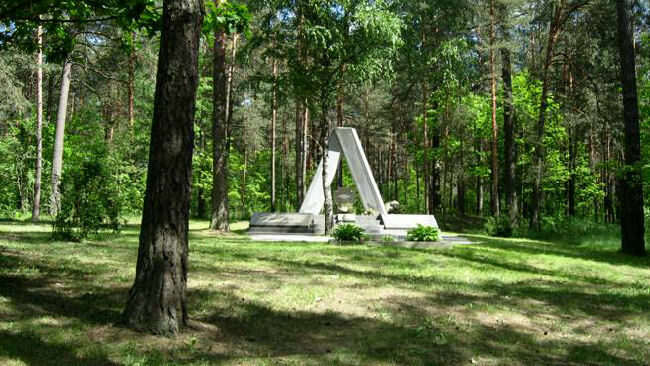 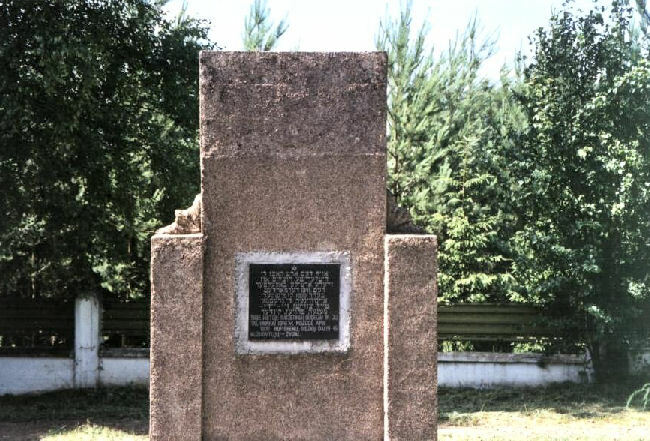 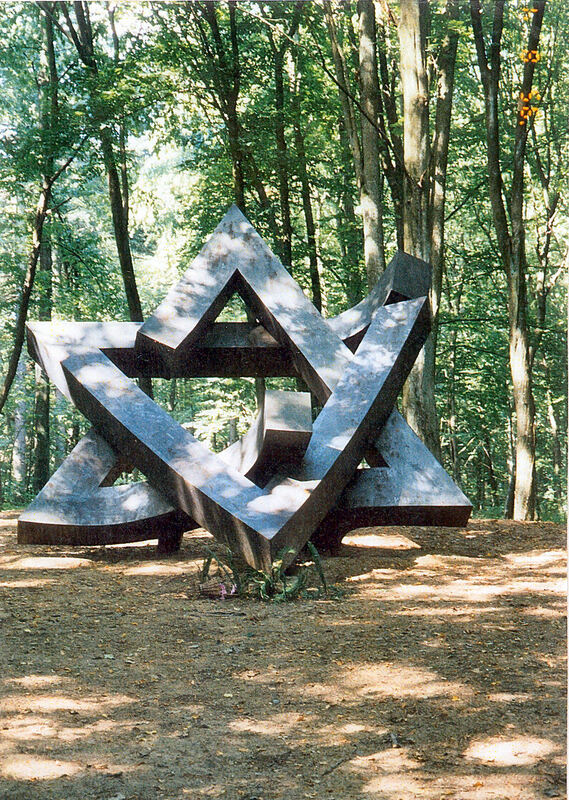 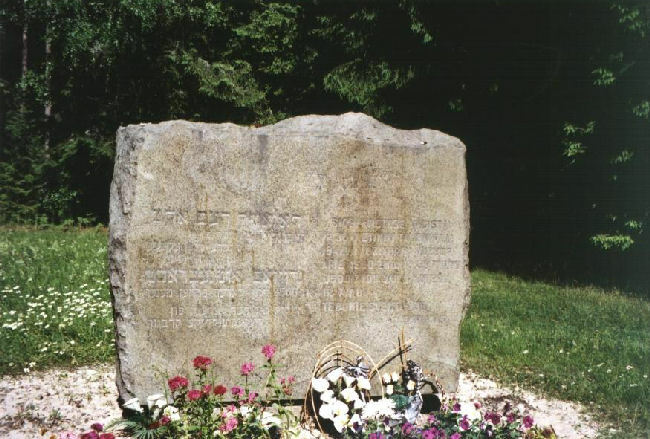 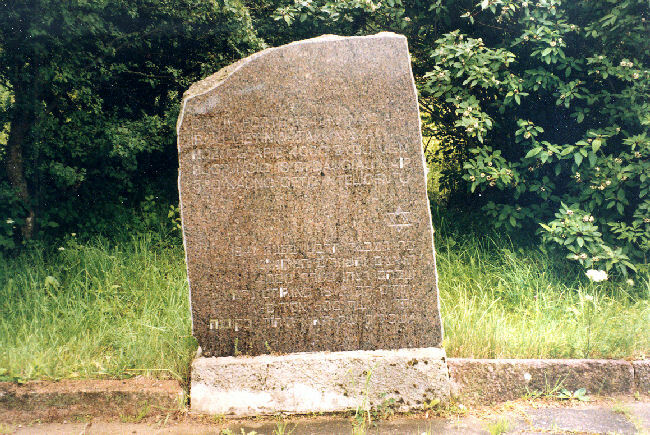 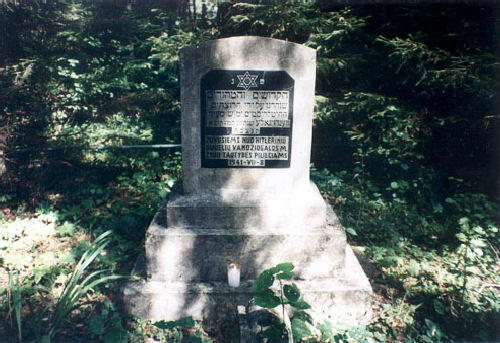 Monument, located at the site of the mass graves (in the Iodupe forest near Rokiskis) of the several thousand Jews who were murdered by the Nazis and Lithuanian police on August 15 and 16, 1941. 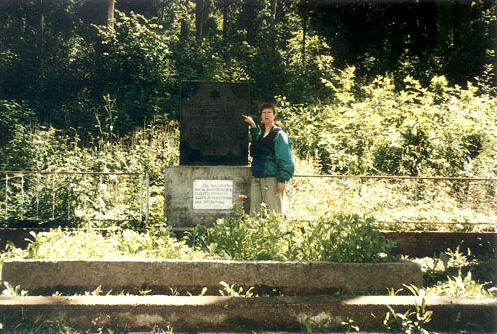 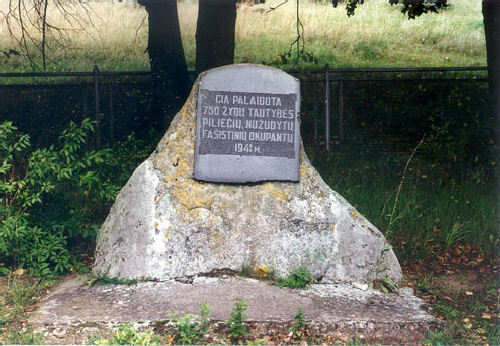 The inscription reads: "Here rest those killed by Lithuanian-German nationalists on 15-16 of August, 1941". 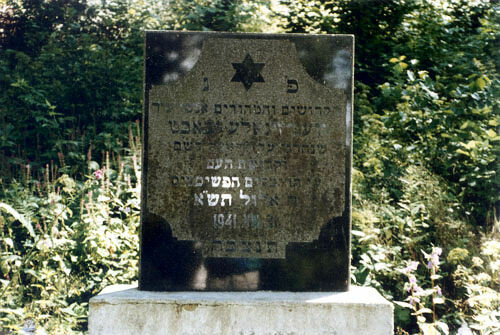 Monument is on the grounds of where the Jewish cemetery once stood. 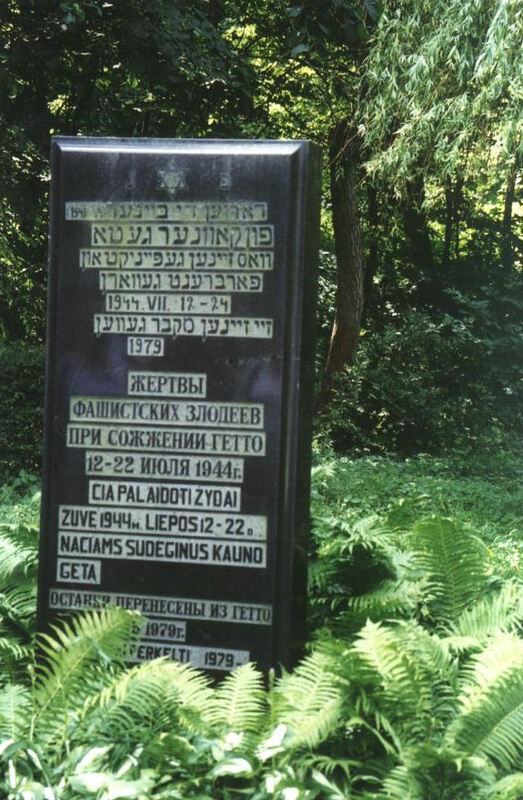 The Jews of Seta were not murdered on this site (see Keidan). 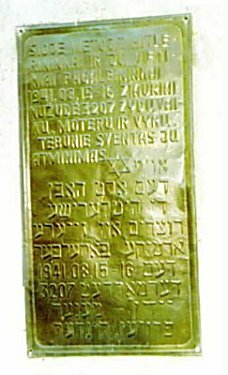 Yarzheit date for the Jews of Seta is 5 Elul 5701 (28 August 1941). 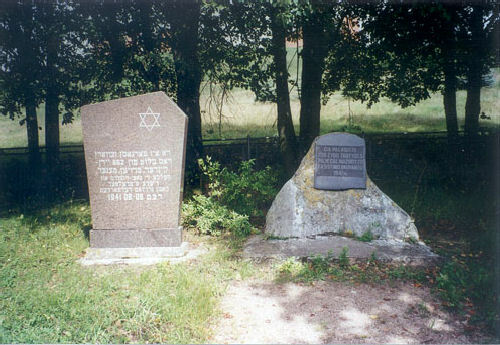 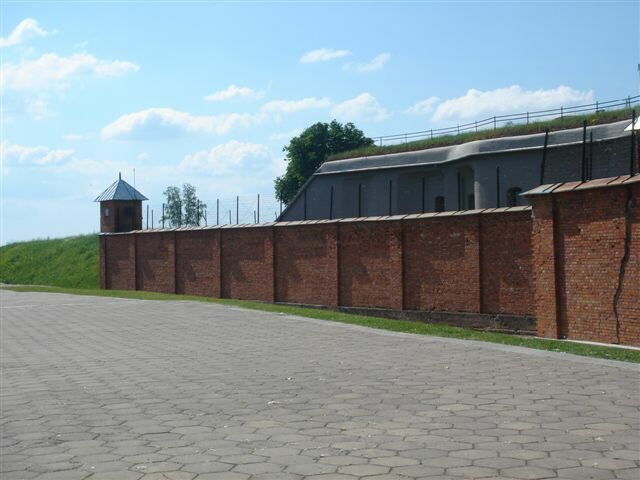 the seventeen Svencionys area shtetls where Jews were murdered. 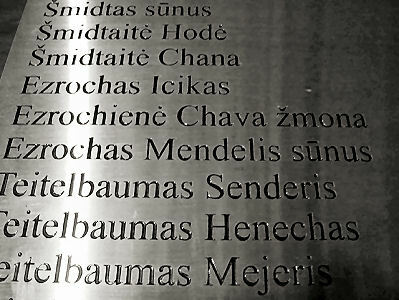 murdered elsewhere, whose place of burial is unknown. 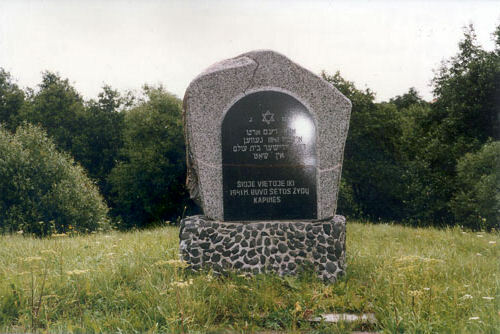 This memorial names the rest of the seventeen area shtetls from the Svencionys area. 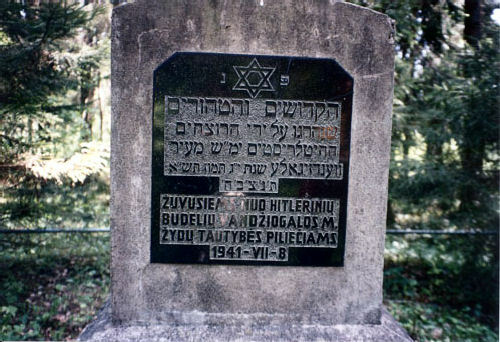 15th and 16th of Tishrei 5702 (October 7th and 8th 1941)." 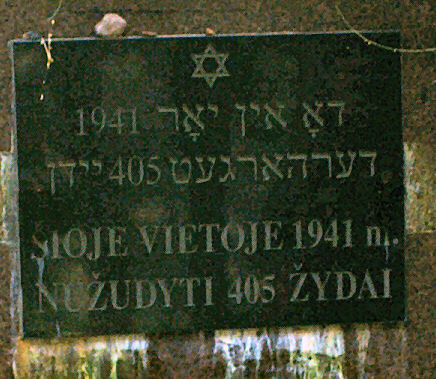 approximately one kilometre from Vandziogala near the Jewish cemetery. 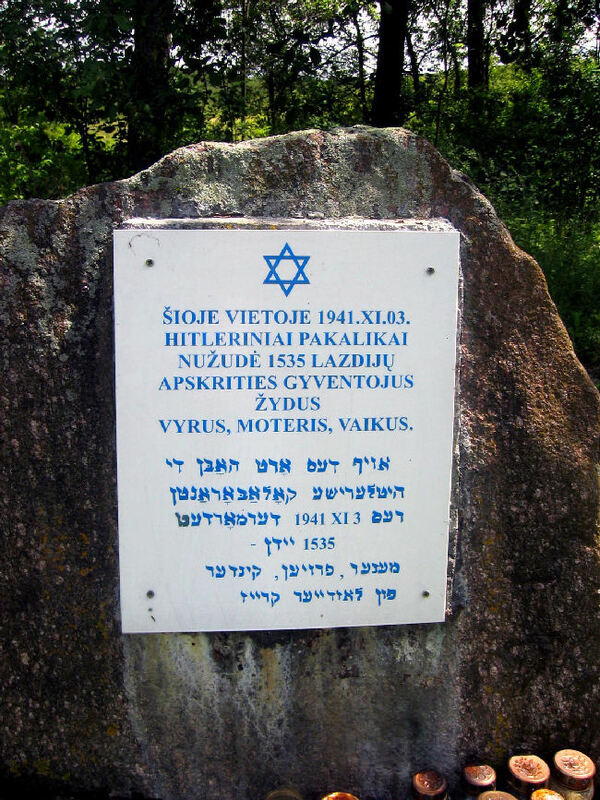 Between July 11-31, 1941 and between Aug. 28 - Sept. 2, 1941, 305 Jewish men, women and children were killed here. 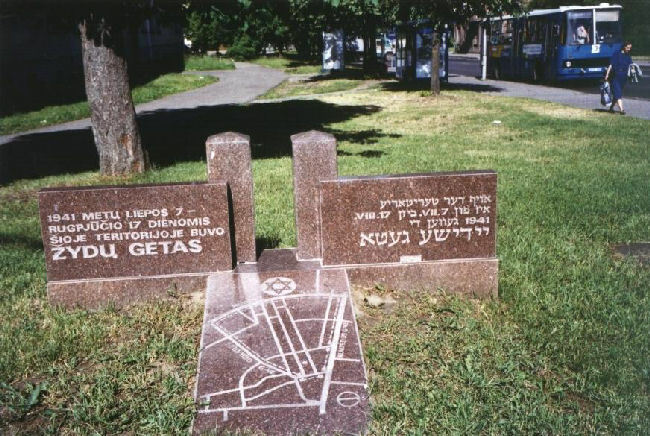 "On this place the Hilteristic murderers and their local collaborators killed about one-hundred women and children in August 1941." 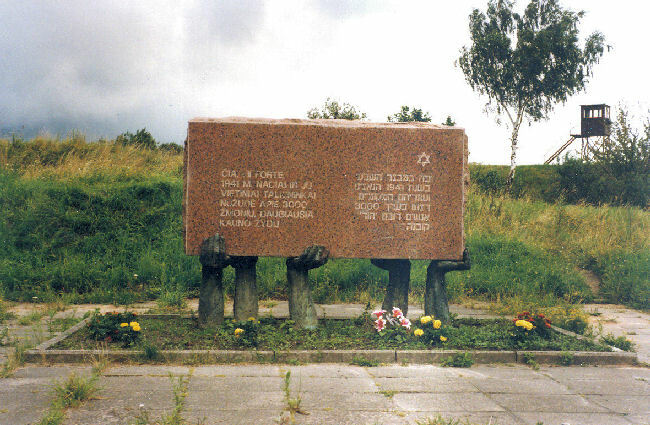 'This should never happen again!'" 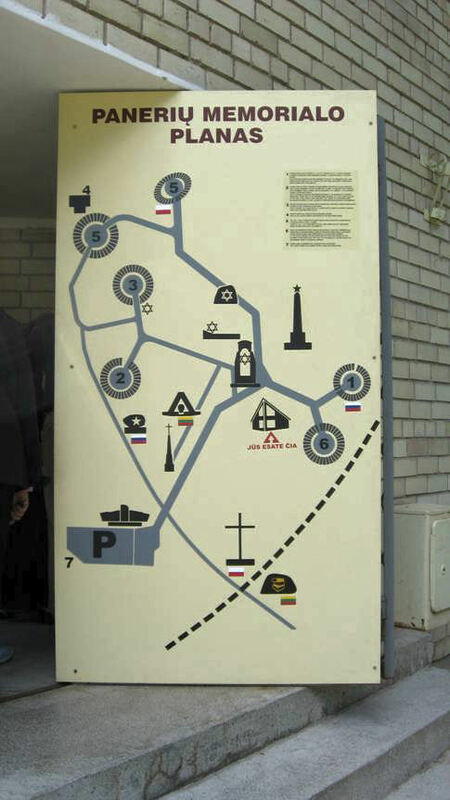 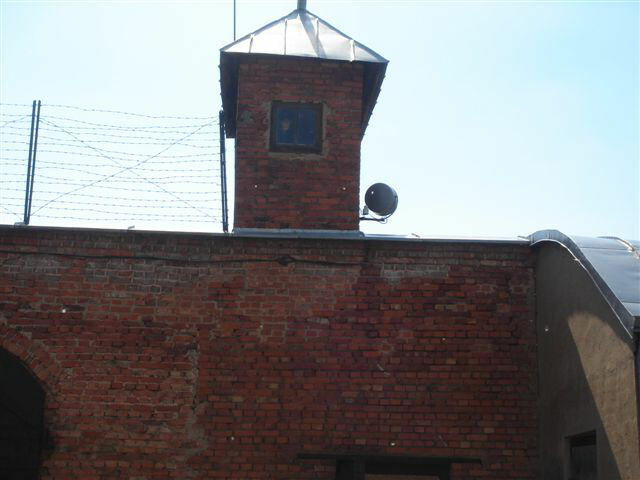 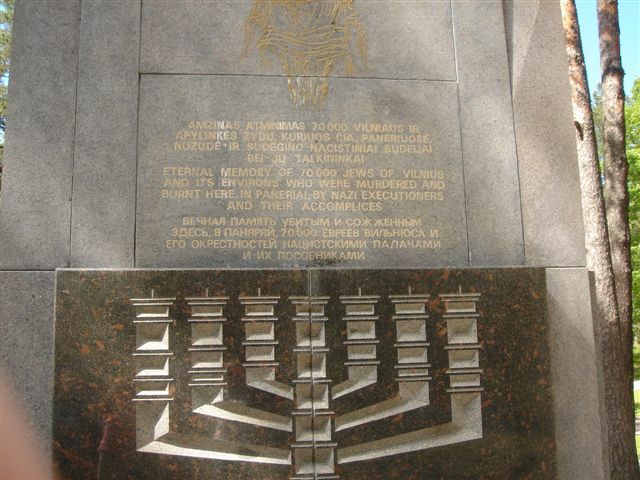 "On this site stood the tower of the small Vilna ghetto. 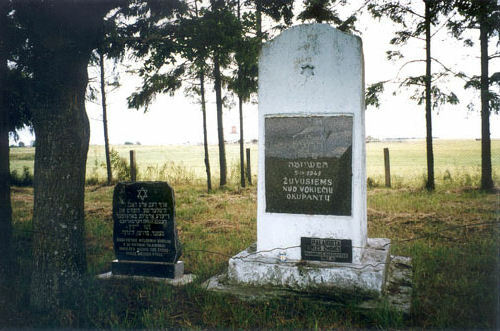 Through it, from 6 September 1941 until the 29th of October 1941, 11,000 Jews were sent to their death." 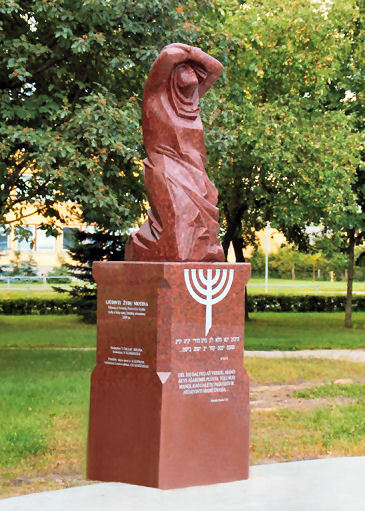 This is a memorial to leaders and members of the social democratic Jewish Labor Bund, which was founded in Vilna in October 1897. 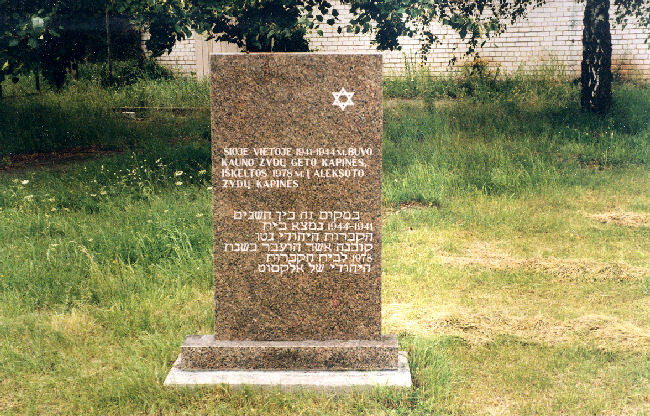 It is meant to replace pre-war memorial stones that were placed on the graves of Arkady Kremer, Dr. Pavel Rozental, Sofia (Chaya Sarah) Stupel-Kahan and Mordkhe Virgili-Kahan, the grave of the Yiddish writer and Bundist A. Waiter and those of the martyrs of the police assault on Vilna workers in 1905. 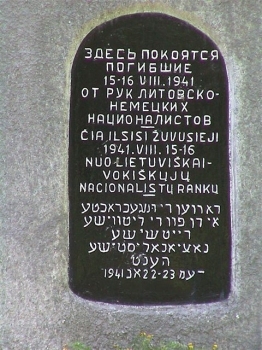 The text is in Yiddish and Lithuanian. 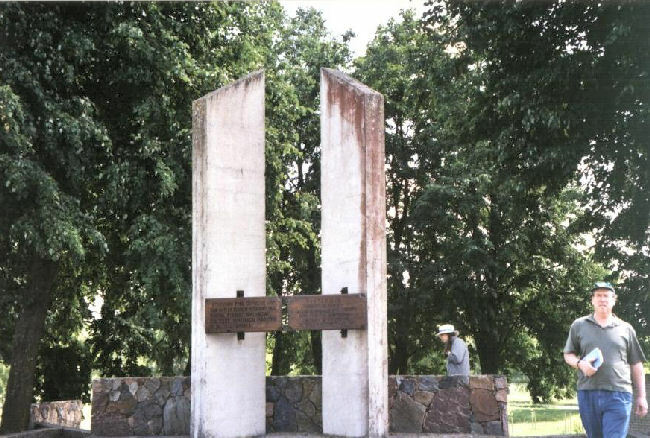 This monument was dedicated in 1991. 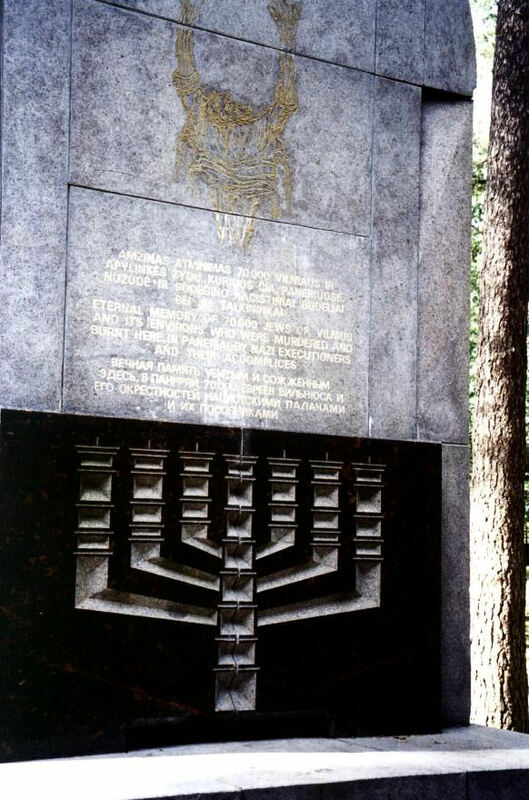 Memorial to Sugihara who, from his diplomatic office in Helsinki, Finland, saved the lives of thousands of Polish Jews fleeing German-occupied Poland. 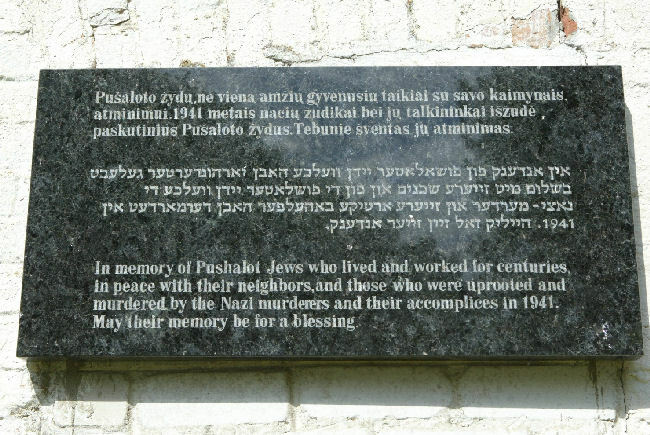 The memorial to him now stands outside the Holocaust Museum in Vilnius.